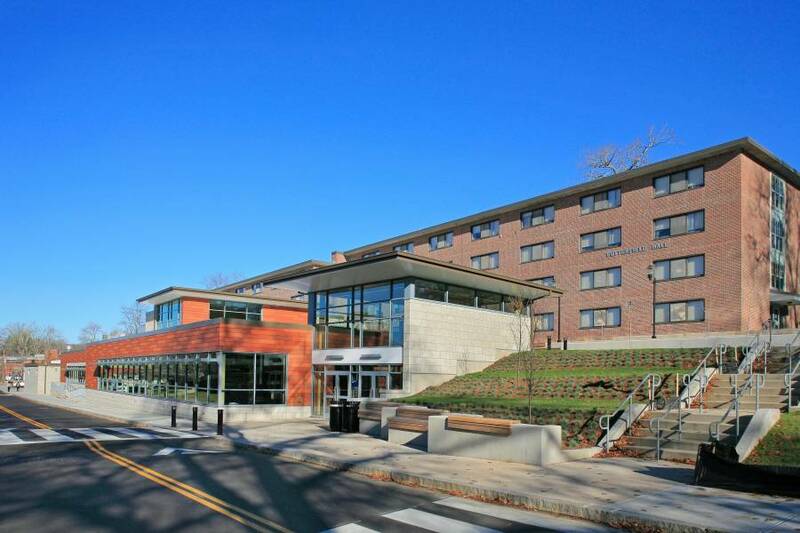 DiPrete Engineering teamed with Vision 3 Architects for an $8 million dining hall expansion at URI’s campus in Kingston, RI. 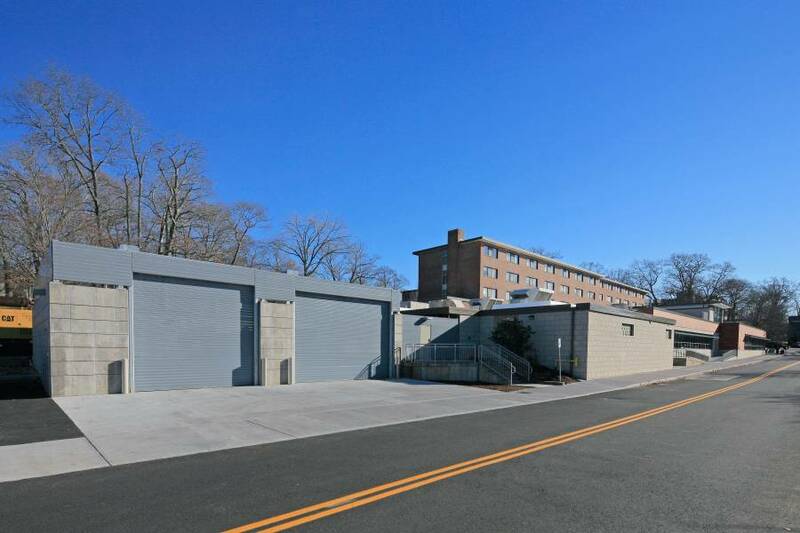 This includes an addition of 7,500 sf to the existing building, expansion of the existing loading docks, seating for an additional 200 students, and space for the student lounge. 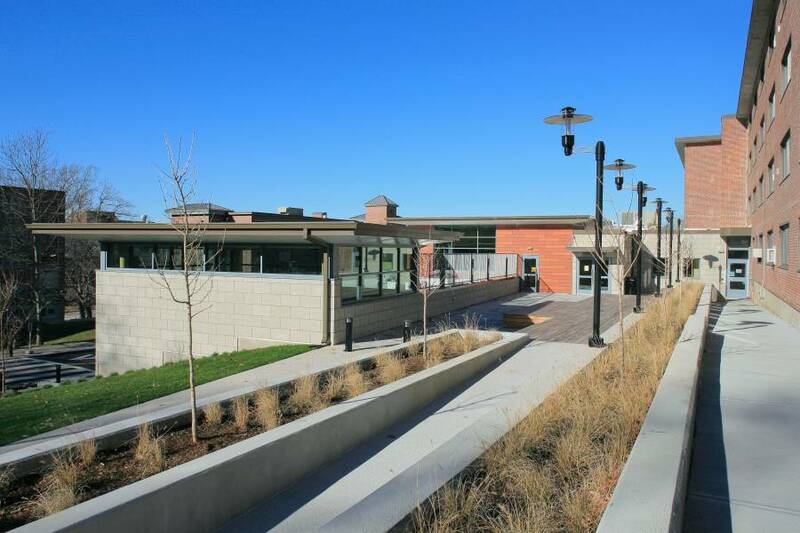 A paved plaza was designed to provide pedestrian access to both the dining hall and the adjacent residence hall. The project is currently under construction.